The length is practical — neither too short nor too long, the prayers are often between ten and twenty lines. The font is fairly big, enabling easy recitation from the book at arm’s length or round the campfire. The softcover is easy to leaf through, and has a good feel. Each prayer’s title is the deity in question, and they are sorted by alphabet. A broad span of Powers are included, some featured with more than one poem: Aegir, Balder, Bragi, Eir, Forseti, Frey, Freya, Frigga, her Handmaidens, Heimdall, Hella, Idunna, Jord, Nanna, Nerthus, Njord, Odin, Ostara, Ran, Sif, Skadhi, Sunna, Thor, Tyr, Ullr, Yule Morning & Yule Eve Prayer, and the Ancestors. There is an extensive and fine use of alliteration throughout. Recital of the deity´s qualities, praise and thankfulness are prevalent. Some reflections and new insights complement these prayers. At first read, one may note the absence of an introduction into the subject and a table of contents, but given the book’s practical approach, this is not really an issue. 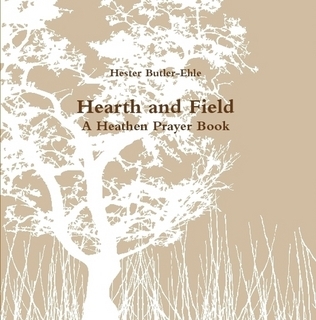 Available at Lulu.com, and for an extremely fair price, this is a wonderful supplement to any heathen’s library.